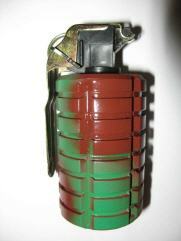 This is the third version of grenades made in PROGRES factory during year 1991. 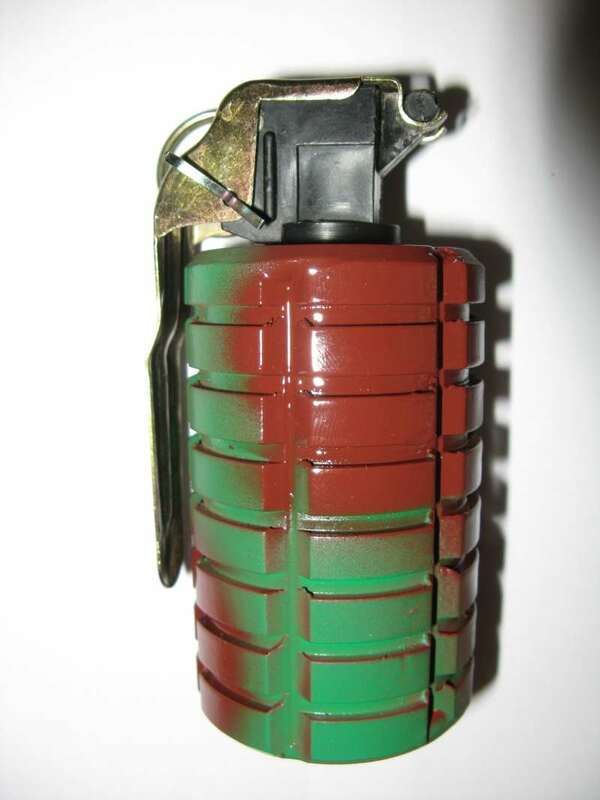 After complains from the Croatian soldiers that JASKANKA 2 is too heavy to be thrown far enough, the factory decided to make a similar but smaller model, with the same type of the fuze used in JASKANKA 2. 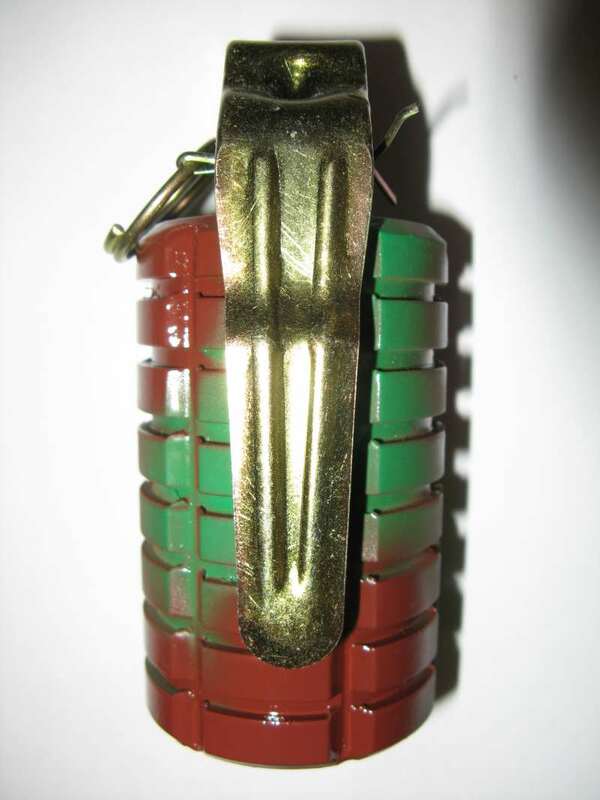 The body was made smaller, but with more of square shaped fragments from the outside surface of the grenade body. 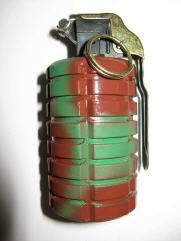 All of these grenades were originally painted in 3-colour camouflage scheme. 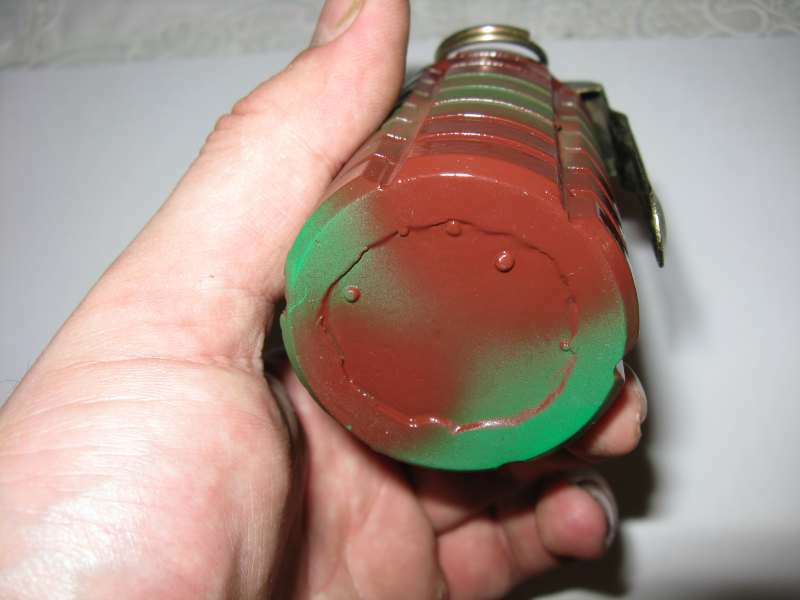 It was hand-sprayed in the factory using ordinary spraycans with car nitro lacquer colours. 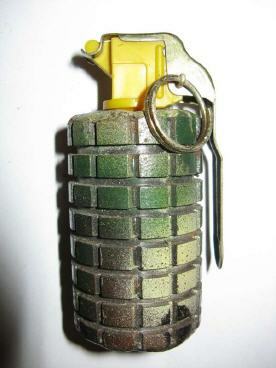 The camouflage colours used were dark green,brown and light yellow. 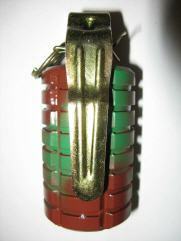 Photos and information © Goran. The grenade shown below is also the "Jaskanka 3", but manufactured in a later stage of the civil war. 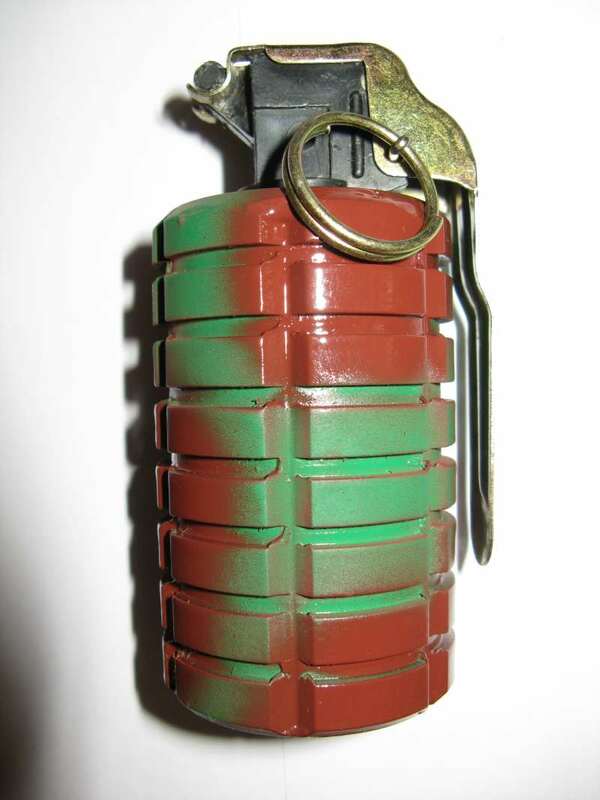 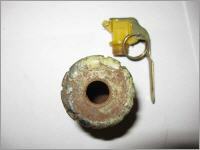 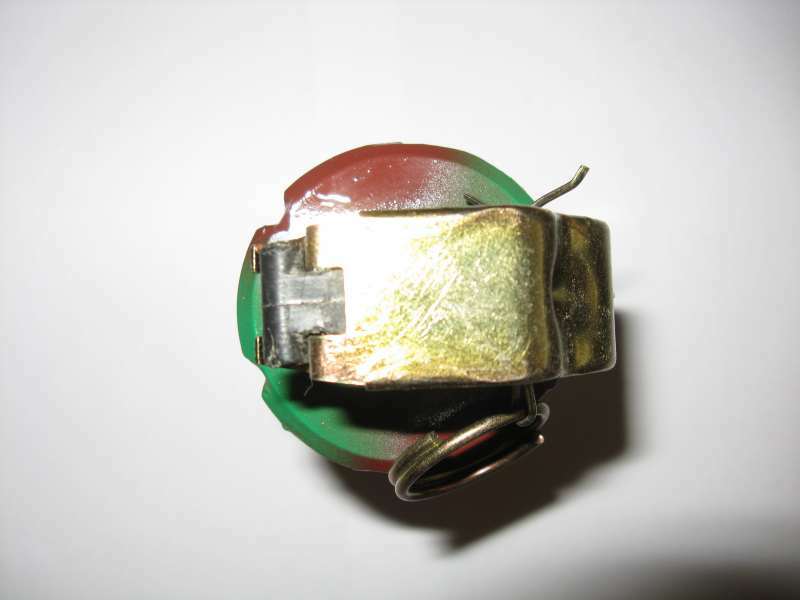 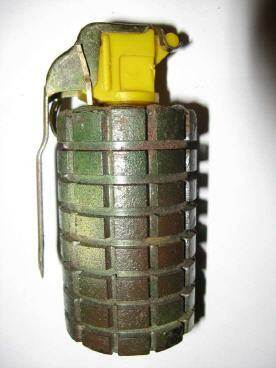 -On this late type croatian made copy of M75 fuze is used instead of practice yugoslavian fuze for VBR M75 with improvised detonator used on JASKANKA 3 early type.This croatian fuze for late type of this grenade was produced in the factory PLASTIKA in the town of Jastrebarsko in Croatia. -This late type of JASKANKA 3 is fragmented externally on bigger square parts, and its body is processed more precisly than JASKANKA 3 early type body. Dimensions and explosive filler are the same as on the early type.